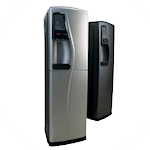 At Drinking Waters, we stock a large selection of floor standing indoor drinking water fountains that are suited for supplying a range of environments with refreshing drinking water. 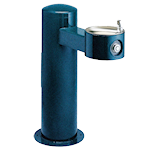 Our range of drinking fountains come in a range of styles and with different functionalities to ensure that there is a fountain for every possible environment. Ensuring that gyms, factories, educational facilities and other public places all have access to a supply of clean drinking water is a priority of ours. Our water fountains are robust workhorses in nature and are built to handle high usage areas. We can guarantee that our products were made to last. We only stock the most trusted manufacturers in the drinking fountain market including Oasis and Crystal Mountain to ensure that all of our water dispensers abide by high-quality standards. Water fountains come with a standard bubbler and can have a cup dispenser fitted to them for utter convenience. They can also come fitted with a swan neck for the easy refilling of bottles. Drinking water fountains are the ideal long-term hydration solution for any space and are robust in nature ensuring that they are very low maintenance. Each water fountain comes with different functionalities and choosing the right fountain can be very difficult. At Drinking Waters, we offer expert advice on the right hydration solutions for all environments. If you would like to know more about our drinking water fountain range or have a query about the right hydration solution for you, please do not hesitate to contact us on 021 813 6631. Alternatively, you can fill in our contact form here and we will get back to you.